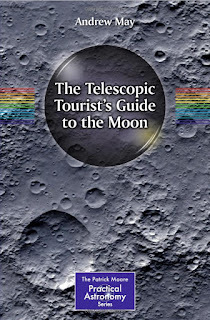 Once the potential reader gets over the concern of folding up like a telescopic umbrella, and realises that this book is about doing a tourist trail on the Moon using a telescope, this is a fine title, which deserves more than three stars if you are in the relatively small target market who will make use of a telescope - the three star rating treats it as a general popular science title - as an amateur astronomer's guide it gets five stars. It's hard to imagine an aspect of science that is so relatively easy to get immersed in when you are young, whether it's simply naked eye stargazing or using basic binoculars, but if you are to take things a little more seriously you need a telescope, and, as Andrew May points out, once you've got one the Moon is the star attraction (pun intended). Of course it's nice to be able to make out more of Jupiter than a dot - but you can explore so much detail on the Moon. When I was about 12, my dad bought a 6 inch reflector, and by far the most fun we had with it was when it was pointed at the Moon. For those who are telescopically inclined, May takes us through choosing a telescope, photographic options (including the clever way that software can combine multiple frames to make a much clearer image than a single one) and a various tours of aspects of the Moon's surface, from the great craters to sites of Apollo landings. I ought to stress that there is considerably more to this book - a real bonus - in bringing in lots of details on the nature of the Moon itself, lunar probes and science fiction's attempts to describe visits to the Moon and Moon colonies (there's even a map showing the locations of some of the most famous fictional lunar bases). 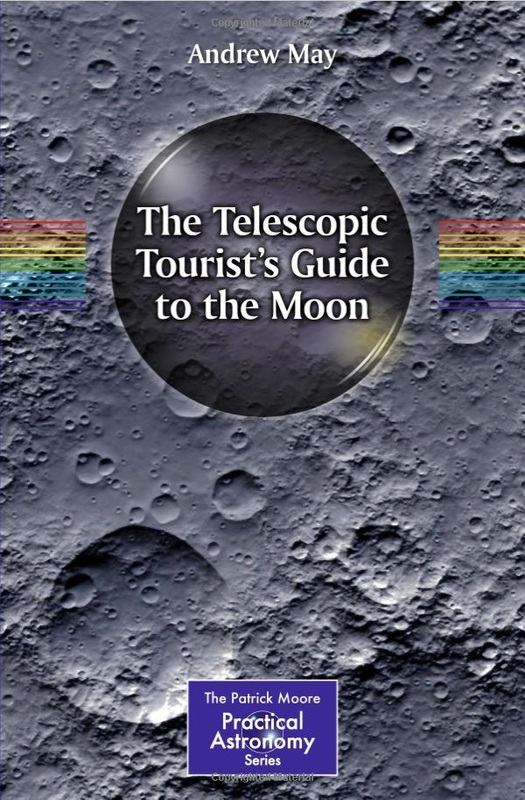 Although I think the focus on telescopic observation means the book doesn't work as well as pure standalone read about the Moon, those who come for the guidebook will gain a huge amount from the excellent surrounding material. If I have one practical criticism, I think there could have been a bit more specific guidance on choice of telescope - we're told a lot, but the coverage is quite broad, leaving a beginner perhaps still uncertain which way to go - and the same applies to the best ways to take photographs etc. The problem, of course, with recommending specific bits of kit is that they rapidly go out of date - but it would be nice if you could read that section and come away knowing what's best to go with, or at least how to find what's the current best match for your requirements and pocket. Overall, though, for anyone beginning to explore the Moon with anything from binoculars to a heavy duty garden telescope, this is a brilliant introduction and guide.